Marketing and promotion tools are changing day by day.NIKE is also proving their selling strategy more uniquely. The new fun and interactive cartoon giving a user interface, in which one leap over aeroplanes and buildings, and encountering dancing pandas on a huge screen, might induce a sense to pick up their shoes,now. 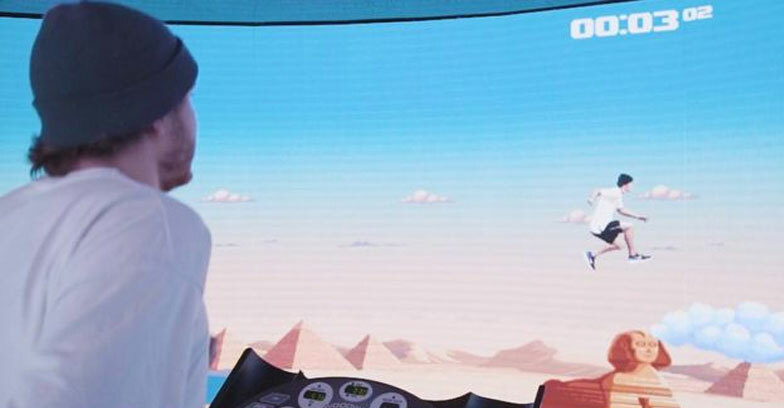 The virtual environment with looklike reactland enables customers to run on a treadmill wearing the firm’s new React shoe while watching themselves in the game. Being introduced in China last year,now,NIKE is spreading this tactic globally.Nike has rolled out the experience in stores globally, with more installations planned for this year, including in Taiwan, Berlin and Dubai.